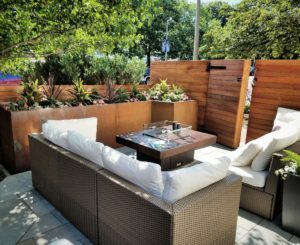 It seems like just last week we were discussing changing out our summer containers, but that was over two months ago now! People are already starting to ask when we will be making the switch over to our winter arrangements. I am still trying to experience the fall we are having. It is hard to picture a scene of drifting snow and barren trees while we still have such a colorful display all around us. Perhaps this is where the challenge lies between the two seasons: in one we are competing with the exuberance of nature’s own palette and in the other we are adding color to where there is almost none. Yes, we were all pretty fed up with the perpetual mountains of snow of last winter, but I have to admit there is nothing prettier at that time of year than a backdrop of fresh fallen snow against a colorful display of evergreen cuttings of Pine, Spruce, Blue Atlas Cedar, Arborvitae and red-berried Holly. 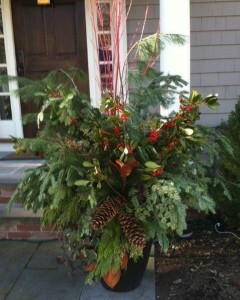 Then of course there is that smell you get from freshly cut evergreens! It’s a lovely way to be greeted upon arriving home on a frigid evening, just before going inside to sit by the fireplace with a hot cup of tea. 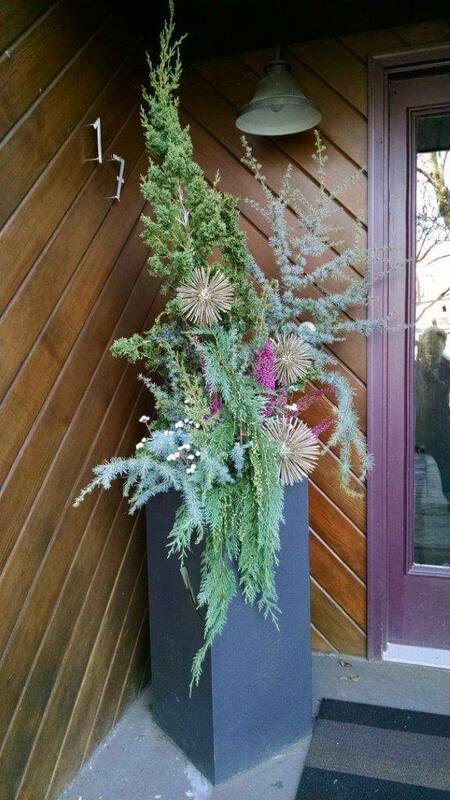 Keep color and texture in your life – let us spruce up your winter containers at home. 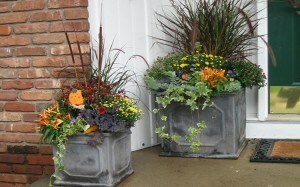 Please email us and we will send you our container questionnaire that helps us customize your arrangement. 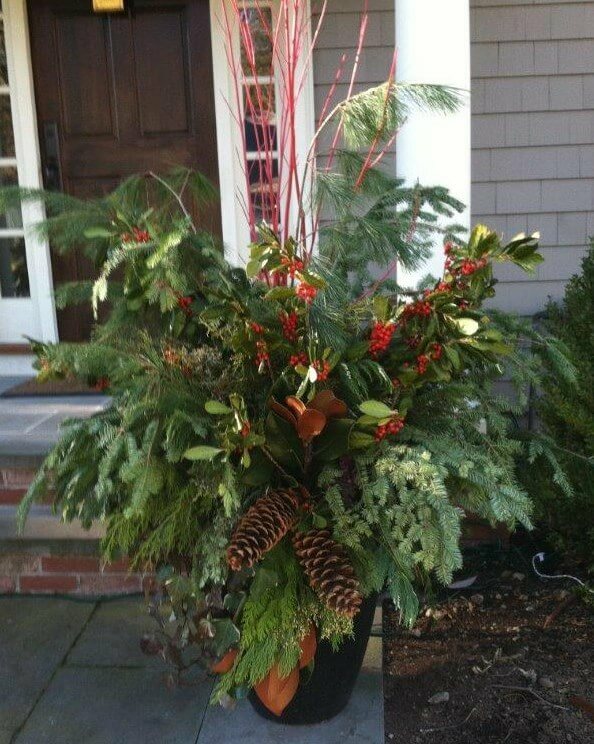 This entry was posted in Conifers, Containers, Four-season interest and tagged Christmas containers, Christmas decorations, Container gardening, Outdoor decorations, Seasonal decorating, Winter, Winter containers on November 19, 2015 by Christie Dustman. 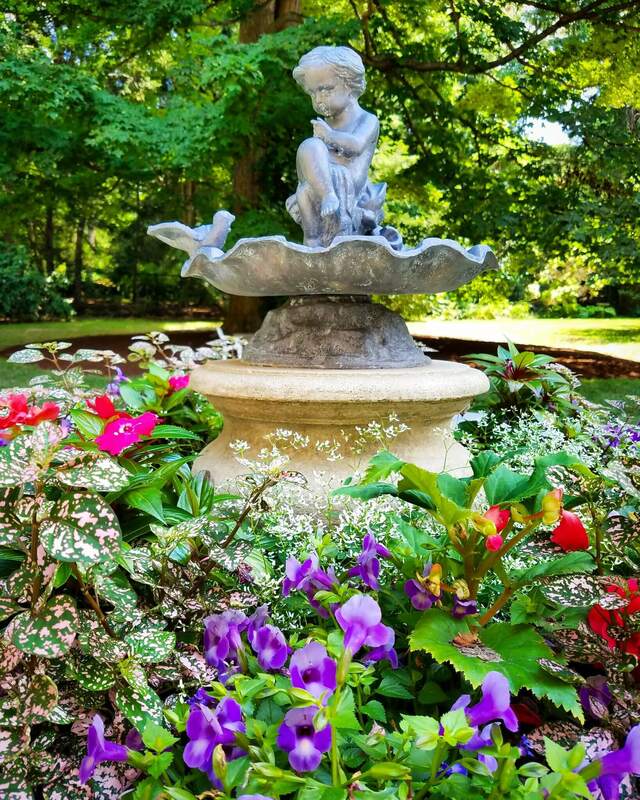 The growing season is coming to an end and we are busy closing our gardens and making preparations for next year. So much to do! 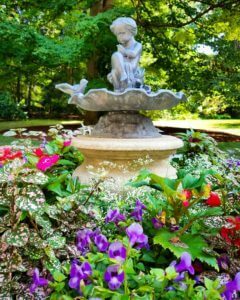 Cutting back perennials, cleaning up a seemingly endless supply of leaves, planting bulbs for that early spring splash of color. 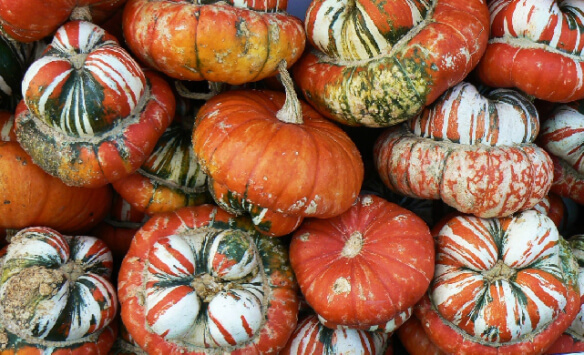 Even with so many things to think of as we near the end of another growing season, many families are focused on one thing: it’s Halloween time!! Over the years the costumes have improved, the decoration displays get bigger and scarier, and undoubtedly, our misunderstood garden helpers get put on display to gross out and frighten. Insects and spiders have become a standard in Halloween gags, pranks, displays and décor that seem to awaken all of our irrational fears about our 6 or 8 legged friends. 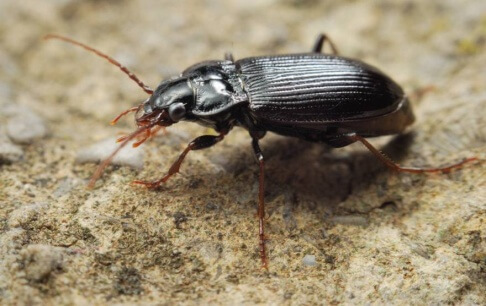 Ground Beetles – While some types of beetles can be serious home garden pests, others are the best pest-fighters around. These medium to large, blue-black beetles typically hide under stones or boards during the day. By night they prey on cabbage root maggots, cutworms, snail and slug eggs, and other pests; some climb trees to capture armyworms or tent caterpillars. 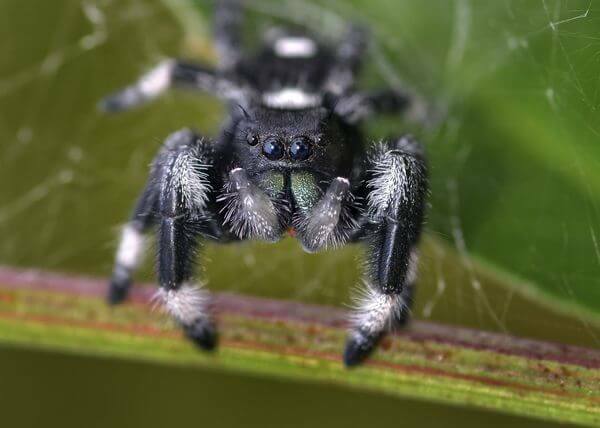 Jumping Spiders – The Jumping Spider lives in woods, fields or gardens. It is often seen on tree trunks, fallen limbs, leaves, or other ground litter. The Jumping Spider gets its name because of its amazing leaping ability. Male Jumping Spiders are between 1/4 inch and 1/2 inch long while females are slightly larger. These spiders do not build webs to catch prey but hunt their prey on foot. They use silk to make a small shelter under a leaf or bark. These spiders eat all sorts of insects as well as other spiders. Their inquisitive behavior and rapid stop and go movements can provide quite a show! Lady Beetle – The adult Lady Beetle, or Lady Bug, is easy for us to picture in our heads with its shiny red exoskeleton speckled with black or white dots. This family of small to medium beetles includes more than 3,000 species that feed on small, soft pests such as aphids, mealybugs and spider mites. 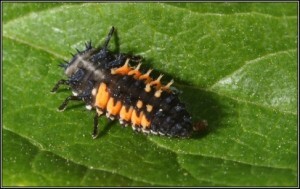 Both adults and larvae (pictured) eat pests. Most larvae have tapering bodies with several short, branching spines on each segment. 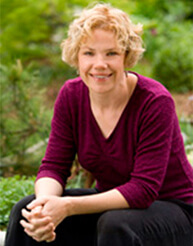 Look for these friendly insects in your garden as you finish up your end-of-the season tasks. And if your fall maintenance is ‘bugging’ you, call us to help! This entry was posted in Landscape maintenance and tagged Beneficial insects, Bugs, Container gardening, Fall maintenance, Garden maintenance, Garden rooms, Ground beetle, Halloween, Jumping spider, Lady bug, Landscape maintenance on October 30, 2014 by Christie Dustman. 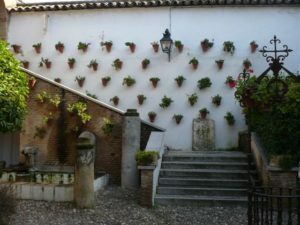 As someone who has an aversion to watering plants in pots, I have to hand it to the Spanish with their plants in clay pots. 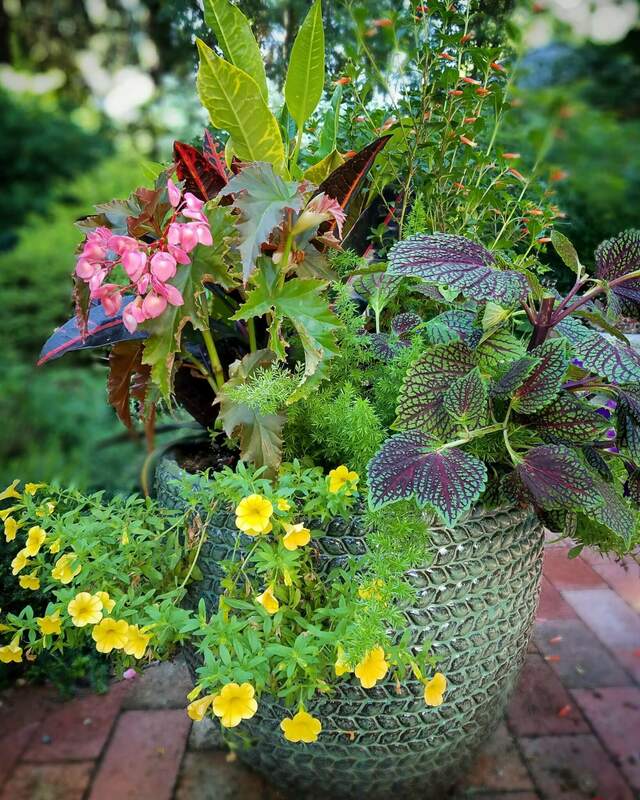 Check out the use of clay pots in these photos. Why keep them on the ground when you can hang them on the wall? Just like polka dots! 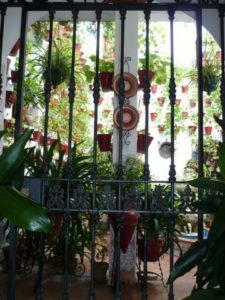 As I mentioned in my first post about Spain, the inner courtyards of Spanish houses are usually tiled and don’t have extensive planting beds in the ground. 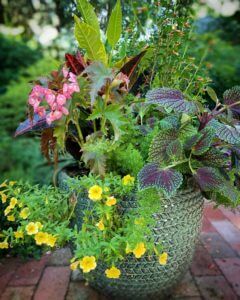 So to bring in the refreshing greenery of plants, you see many plants in pots. And instead of paintings on the walls, you see plants in pots and painted plates hanging. Bright colors highlighted against the whitewashed walls. How fun! 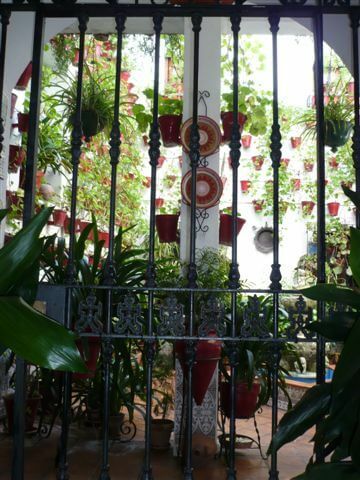 This entry was posted in Design, Southern Spain, Urban environment and tagged Container gardening, Spain on April 9, 2010 by Christie Dustman.